Pioneers in the industry, we offer seal bag for food packaging from India. By staying informed regarding momentum market advancement, we are putting forth an excellent scope of Seal Bag for Food Packaging. 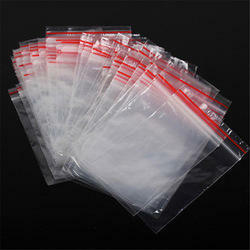 Offered seal bags are acclaimed in the business sector for its quality. We are giving these seal bags in different tweaked choices and at business sector costs.